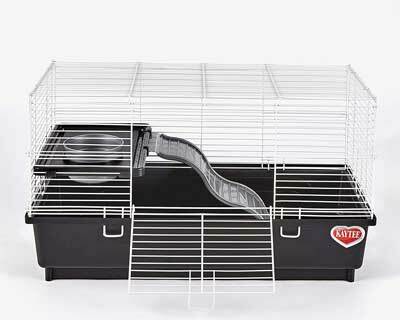 Whether you are getting your first rat or your tenth, the thing you need to know is what are the best rat cages . Maybe you already have a cage? Does it suit your current rats’ needs? Is it large enough? Does it have built in play or activity areas? Your rat is going to spend most of its time inside the cage. This makes the cage one of the most important things you give your pets. If you have multiple rats it is really important that you have the right cage. 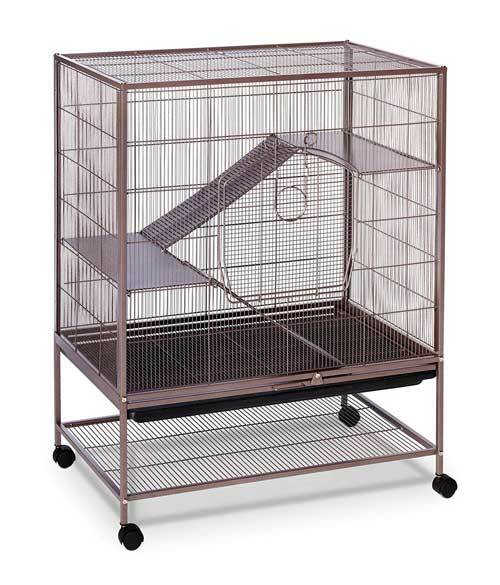 What is most important when considering what cage to get for your rat or rats? There are obviously certain things that are essential and others that are nice to have but not essential if cost is a factor for you. What are the essentials? Material – get a metal rat cage. Don’t get cages made of wood, ones with wire mesh on floor or old aquariums. Space – get the most you can afford. Rats need space. Each one of your rats need at least 2 cubic feet of space. Obviously, the more rats the more space is needed. 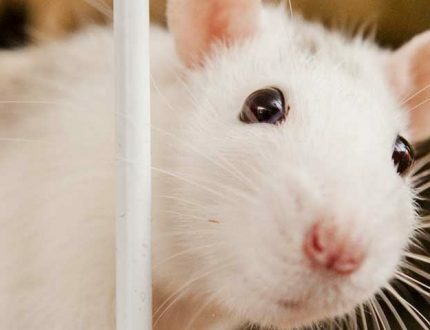 Floor – try to avoid wire floors as rats have sensitive feet. If the floor is wire and you really want that cage, you will need to cover the wire with wood. Spacing between wires on sides and top – depending upon whether you have adult rats or babies the amount of space between the side wiring is critical. You don’t want your rat getting through the wires. For adults these openings should not be more than 1×2 inches. Number of floors – this is not that important, but it is a nice to have. If you have more than one floor, don’t forget that you don’t want a wire floor on the second level either. This is a nice cage that will last forever. It is very sturdy and durable. No rats will be chewing through it. It comes in a one story version as well. The bar spacing is excellent at one inch. Lots of room to play and run around. Chew proof sides and walls. Made of metal and is very durable. Both horizontal and vertical play space. Chew proof wire that will keep your rat from getting out. It’s a hybrid cage – could be used for a variety of small animals. 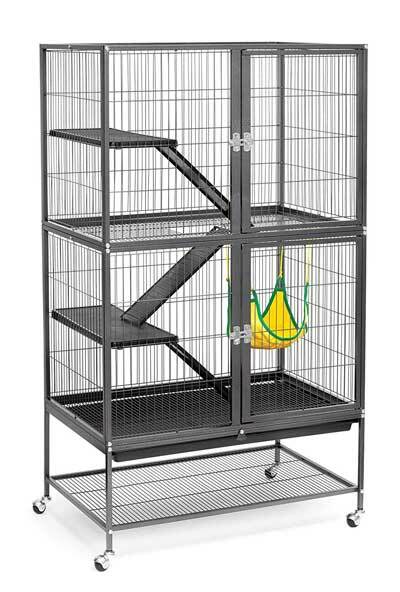 Because of the double doors and shelves that can be removed, this cage can be easy to clean. It has a manufacturer warranty of 365 days. Height adjustable with removable and adjustable shelves. It can be moved where ever you want with it being on wheels. If you want to take your rats with you this cage is not a good choice. The fact that it is durable and made of metal also means it is very heavy. It is difficult to move or carry. You really could use deeper trays for bedding and litter. 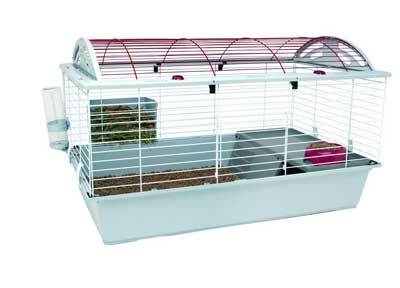 This is an ideal cage for rats, chinchillas and any other small rodent. It has small wire spacing, solid metal platforms and ramps. Large door in the front and small door in the roof. excellent, practical and innovative design with a place to store extra supplies. 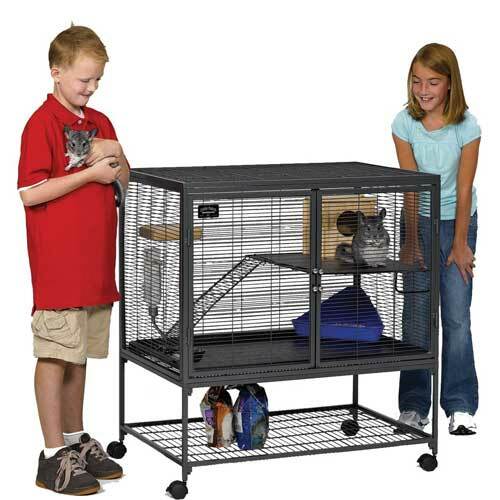 It is made of metal and the solid metal floors and ramps are easy on your rat’s feet. It has easily removable tray and grille for easy cleaning. Hybrid cage –could be used for a variety of small animals. The casters have no locks. It is a little hard to assemble. There might be a space and cleaning issue with the hanging hammocks. Even though this is one of the smallest cages it is large enough for one to four rats. 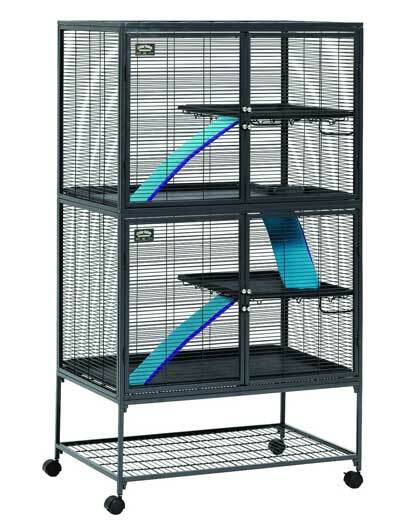 Because it is a multi-level cage it will help keep your rats happy and healthy. This is a very basic cage. It has plenty of room along with spiral slide, safety ramps, hammock, comfortable shelves and a FerreTrail Fun-nel. It works for adult and baby rats with 1/2” spacing on the bars. Deep base for the litter and bedding. It’s made with solid plastic ramps and shelves for safety and comfort. Lots of room for playing. Hybrid cage – could be used for a variety of small animals. Durable with chew proof wire for latches. Rats might chew through the plastic. It has good horizontal space but cramped on vertical space. The ramp takes up much of the horizontal space. This is a nice cage with lots of room for your rats. It has multiple ramps and shelves for their pleasure. Your rat’s feet will be comfortable on the solid floor. Easy access for cleaning due to the double doors. Due to casters it can be moved around with you. It has plenty of room for multiple rats and accessories. It is a hybrid cage – could be used for a variety of small animals. It might be difficult assembly for some. 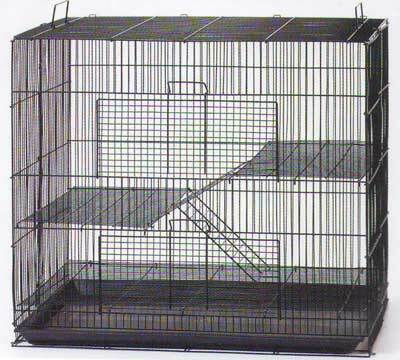 This is a very large cage with all kinds of accessories at a great price. It comes with platforms, hammock and ramps. It has a platform bottom and grille that can be removed for cleaning. It is a Hybrid cage –could be used for a variety of small animals. You will have to cover the floor because it is made of wire. It has kind of a bland design. Deep base for litter and bedding. 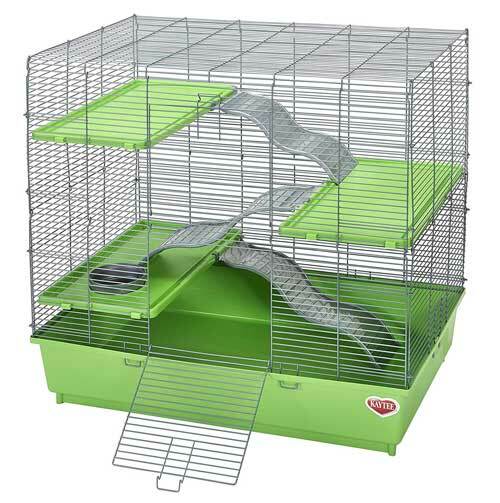 Multi levels for playing room and comfortable sleeping for your rat. Sturdy, solid shelves made of plastic. It includes ramp and feeding dish. This is a very basic cage with nice accessories and little else. Large cage with three levels. The bottom pan slides out to make cleaning easy. It is foldable. It has handles for easy carrying. The floor pan is made mostly of plastic and some rats can chew through it. The materials are somewhat flimsy. Even the metal. Some users had to hold it together with zip ties. It comes without instructions. Not easy to assemble and after assembly can be unstable. A smaller one level cage that probably is not good for more than one rat. Well ventilated and comfortable for one or two rats. Wire cage with plastic bottom. Accessories including ramps, untippable food dish, drip proof water container and hay guard. It is a company that is committed to the well-being of small animals and birds through the products they produce for small animals and birds. Red wire top and white wire sides. Attractive. Access through wire top and also through wire front door. A balcony included with a hiding space under it for your rats’ quiet space. It has some large spaces above door that rats might be able to get through. It might be better for larger small animals or large rats. Some of the materials seem flimsy and unstable after assembly. Rats can chew through the plastic parts that connect the wire sides. It has instructions for assembly that are not very clear. Size – so your rats have plenty of space for playing, sleeping, eating and defecating. Quality – make sure your cage won’t fall apart and you won’t have to keep it together with zip ties. Materials – remember that your rats can chew through a lot of things. Plastic is not as good as metal, and wood is not good at all. Floor – what is the floor made of? Is it solid? You don’t want a wire or mesh floor. Your rat’s feet are very sensitive. Space between wires on sides and top – make sure you have enough spacing for ventilation but not enough for your rats to escape. Follow these guides for best rat cages and you will find the cage that suits you and your rat best. My rat started to escape pretty often and I’m looking for safe and high quality cage for him. Mcage 3 Levels Pet Rat Cage looks perfect for him. Thanks for useful info.